The uterine artery arises from the anterior division of the internal iliac artery. It crosses above the ureter on its course to the uterus (bridge over water). 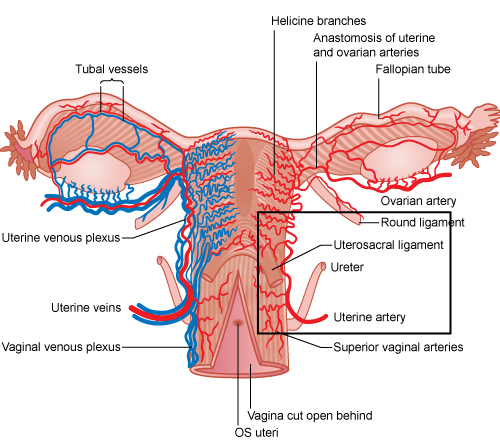 The uterine artery commonly anastomoses with the vaginal and ovarian artieries. The uterine artery is the main blood supply to the uterus and it enlarges significantly in pregnancy.